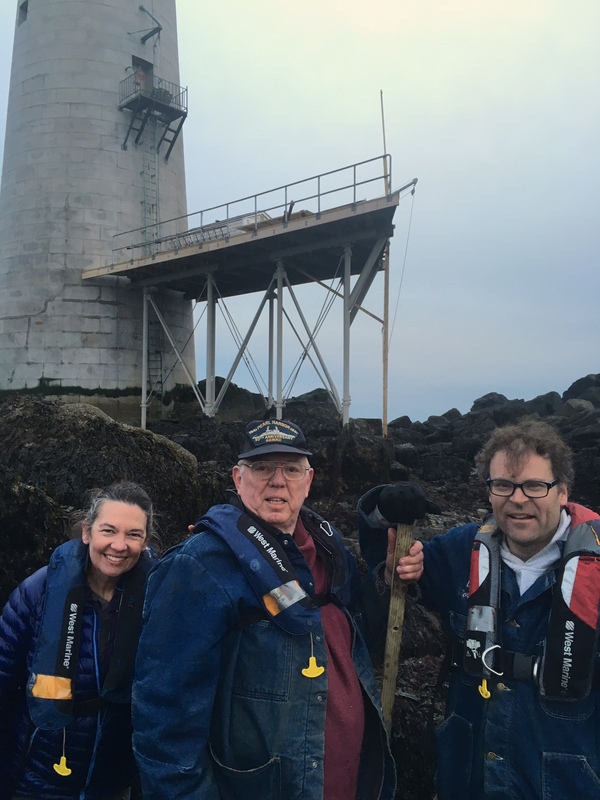 Author and speaker Art Milmore (center) on Graves Ledge at low tide with Lynn and Dave. Arthur Milmore, the respected author and speaker, toured Graves Light Station with us last weekend. He was a good friend of New England maritime historian Edward Rowe Snow, and is completing Snow’s unfinished book about the wreck of the Portland, the side paddle wheel steamship lost in 1898 with all 190 people aboard. In the greatest of Snow traditions, Art regaled us with seafaring tales and even installed a few of those bronze skylights in the lantern room. Tagged Arthur Milmore, Edward Rowe Snow.